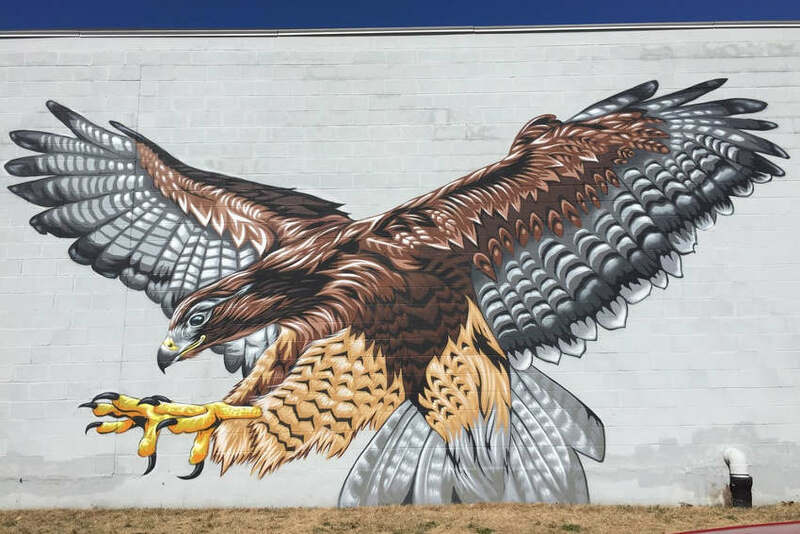 Mr. Prvrt is an American street artist, best known for his stencils and murals where he manages to fuse together the diverse wildlife and the urban environment. Born in Albany, Upstate New York, Mr. Prvrt was raised on a family farm, surrounded by animals and nature. When he was six years old, he spent two weeks in Kenya. This experience and background would later serve as the main source of inspiration for his art. Mr. Prvrt says that he’s a proud drop-out, as he quit college before receiving his Bachelor’s degree. However, it was at college that he started cutting stencils. Mr. Prvrt’s first contact with street art was in Albany, through the works of Brian Scout and Chris Stain. At that time, there was virtually no street art in the city, except the art that Scout and Stain produced in the most neglected neighborhoods. 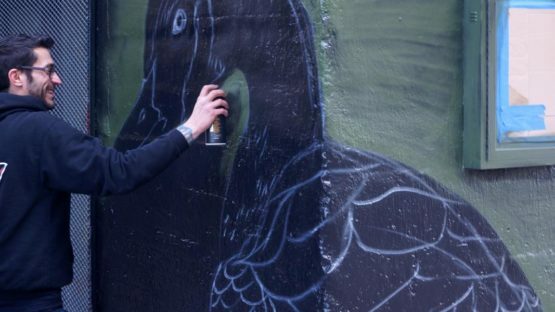 The way they targeted the walls for the murals stayed with Mr. Prvrt, and taught him that street art can bring a positive change in a neighborhood. The artist uses very detailed and elaborated hand cut stencils for his smaller works, which can take up to 40 hours to cut. 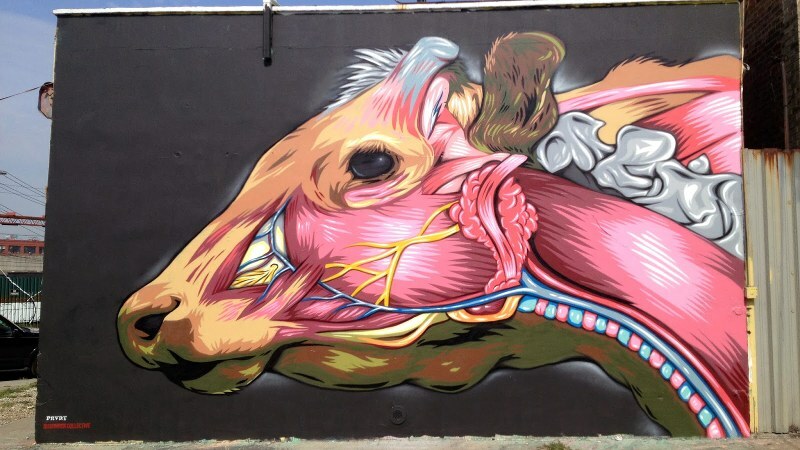 However, for the larger murals, Mr. Prvrt paints freehand, relying only on a reference image. He gives depth to his pieces by layering flat colors. The wall is also an integral part of his artworks, as he strives to paint murals that complement the aesthetics of the wall and its surroundings as well. Animals are the main theme in Mr. Prvrt’s art. While growing up, he lived on a farm surrounded by them, which resonated later in his life and, essentially, career. He was always fascinated by the eyes of animals and thought that their eyes were more expressive than people’s. Bringing these animals to urban areas serves as a reminder to the people living in cities that animals are also a part of our world; that we are not the only species existing on this planet. 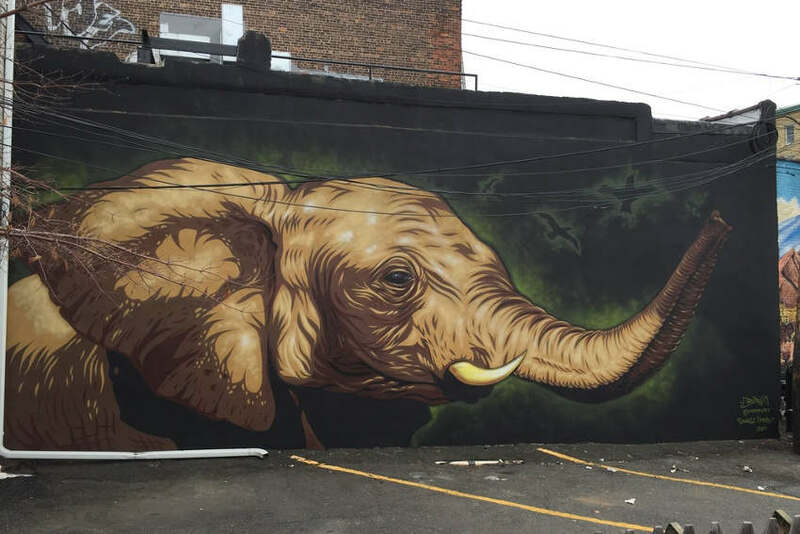 Accordingly, in 2012 and 2013, when he participated in the Wall Therapy mural project, Mr. Prvrt chose the animals that live not far from the fringes of the cities, as a reminder that we pushed them out to make the places ours. 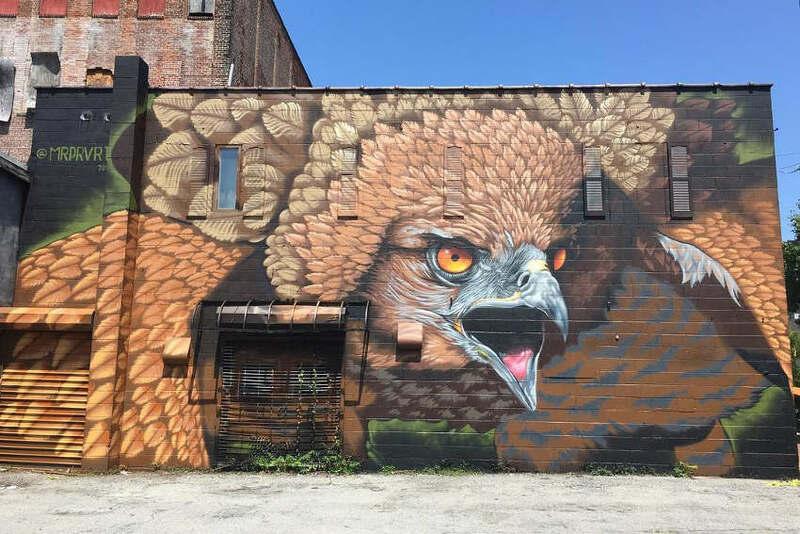 Mr. Prvrt works with several groups, such as the Sweet Meat Co., with whom he had a show in 2010 in Rochester; the FUA Krew, with whom he exhibited the following year in Rochester as well; and Wall Therapy, which he became a part of in 2012. The artist has also presented his immense talent and vision in numerous other street art festivals, as well as solo and group exhibitions in such galleries as Vertical Gallery, Chicago, IL, 1975 Gallery, Rochester, NY, and Lowercase Gallery, Wrightsville, PA. He is represented by Vertical Gallery from Chicago. Mr. Prvrt lives and works in Rochester, New York.